When it comes to festive and seasonal recipes, I’m more like the last minute type of person. So simple, easy-to-make, yet delicious recipes are just the thing for me. 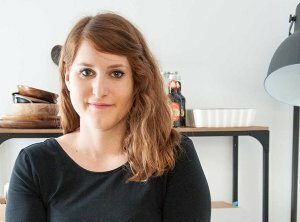 Although we don’t really celebrate Halloween in Austria (some people dress up and go to parties, but children going trick or treating is more the exception), I simply had to create a ghoulish recipe for the blog. That’s when these super easy Bloody Cups happened. They are vegan and gluten-free and only need 3 ingredients. 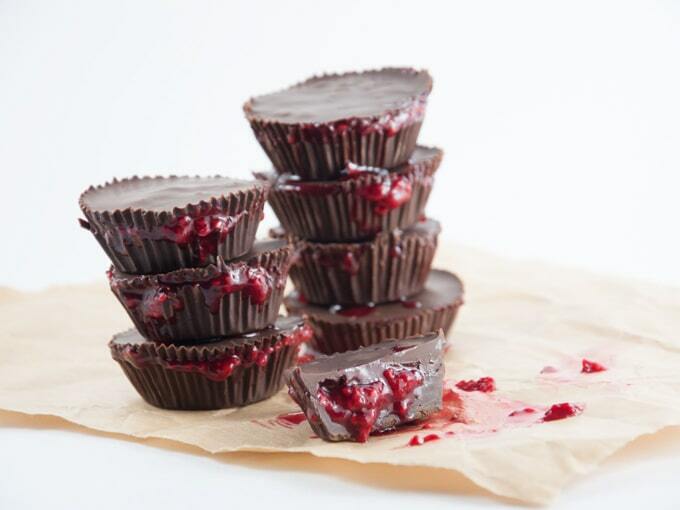 They are pretty much like usual Peanut Butter Cups, but filled with a simple raspberry sauce. 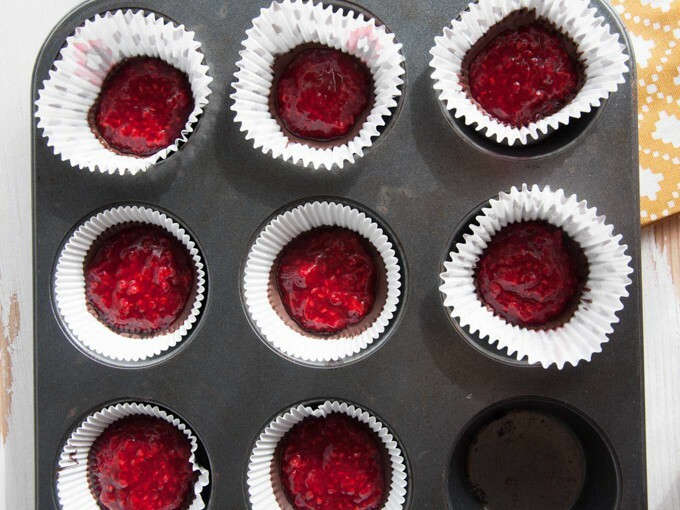 I love the combination of the sweet chocolate and tart raspberries – if you want to make this dessert for children, feel free to add a bit more sweetener to the raspberry filling. I really love how easy these are – they are the perfect dessert to bring to spontaneous Halloween parties. Last year we went to a friend’s birthday party on Halloween and me and 4 of my friends were the only ones who dressed up (we had a group costume, want to guess? 2 girls, 2 boys and one non-human :) ) – but it was so much fun. I think we’ll do the same thing this year – although I’m still undecided whether to dress up and as what..I’d be grateful for any last minute dress-up tips! Anyway… the recipe for these “beasts” is below. 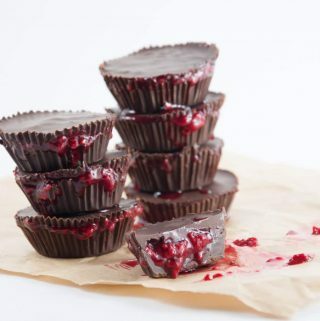 These Bloody Cups are like Peanut Butter Cups - but filled with a raspberry sauce - making it the perfect treat for Halloween! 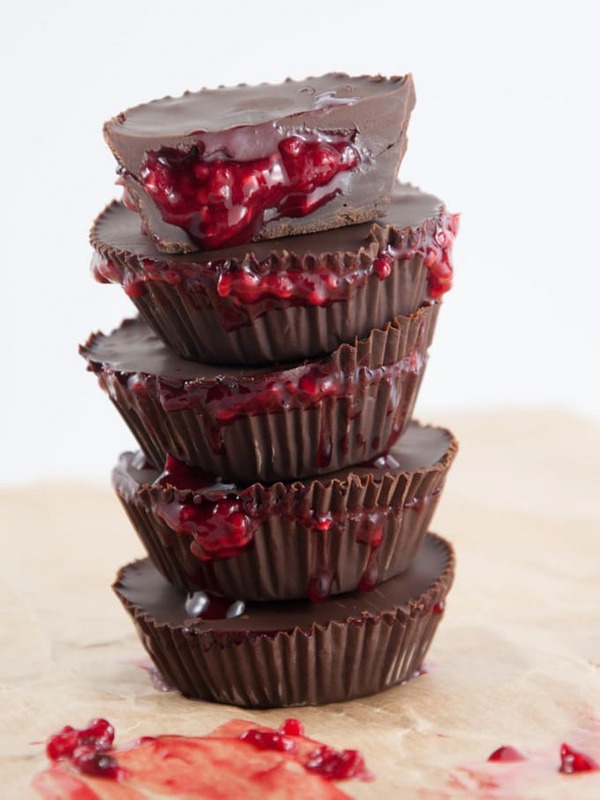 They are vegan, gluten-free and only need 3 ingredients - the ideal last minute recipe. Looking for more spooky Halloween ideas? 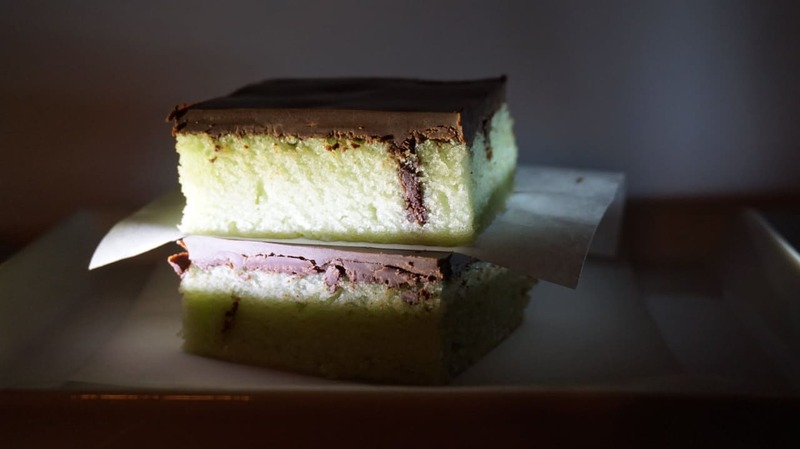 Check out my Boozy Poison Cake recipe! You did such an awesome job with the spooky vibe! Like a chocolate cup murder scene…but one that I’d want to be on the clean-up crew for ;) For being last minute with our creepy treats, I think we rocked it haha! Just saw these on Instagram, wow, they look so cool! More like bloody good!!!! I love these! Raspberry and chocolate is a fantastic tart, rich, but sweet combo! Thanks Rebecca! :) It’s a wonderful combo, indeed! What a genius idea for Halloween! 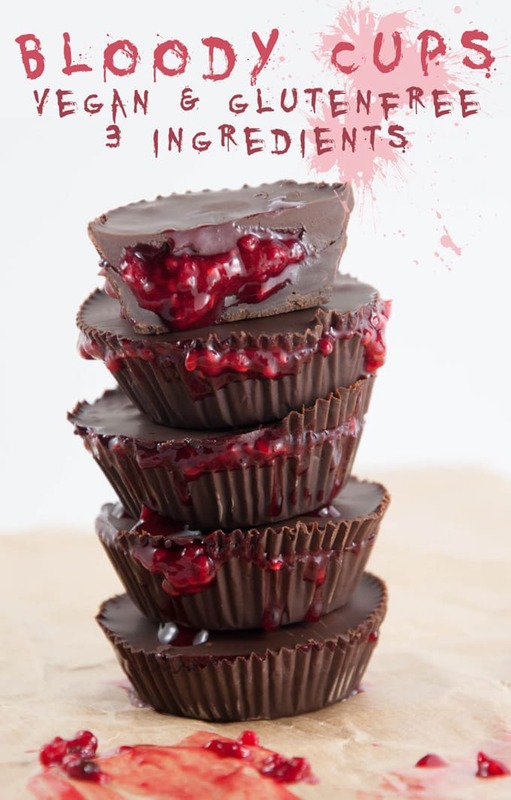 I love berries and chocolate together and these are just the right balance of spooky and sweet! Pinned! 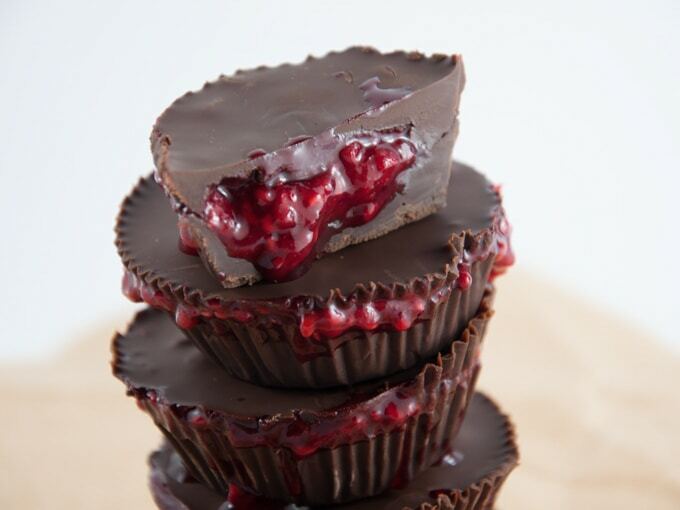 Raspberry & chocolate is always a winning combination. And these Bloody cups look wickedly good. I think they would also be perfect for Valentines Day. These are bloody awesome :D I actually made something similar a few weeks ago but they didn’t make it to the blog (they were so messy, like yours, so I just put the recipe in the “fail” pile, but they definitely work in the context of Halloween treats haha :D). These look delicious! Were you and your friends Scooby Doo and the gang? My birthday is actually on Halloween and we always have a party. Costumes generally aren’t involved, but creepy eats are. I love these so much and would fit right in with our spread. Thanks for such a great post. I cooked these! Melting chocolate was more of an art form than I had anticipated, and I had to substitute sugar for the rice syrup (nowhere around me sold it :|) but I am happy at how these turned out. I will probably leave them in their cups until right before serving tomorrow. Thanks, Bianca. However, should it be 1 1/2 tablespoons of chocolate in each cup, since 1 1/2 teaspoons x 8 = 4 tablespoons? Wonderful idea! I would love to try make them. But is there anything I can substitute rice syryp? Not necesserily vegan/vegetarian. I’m not sure if I can get it in my country, at least I haven’t seen it anywhere or even heard of it. love these amazing ideas, thanks for sharing. Hey! Quick question: do these need to be stored in the refrigerator, even after they’ve hardened? Or can they be stored at room temperature? Thank you! Can’t wait to make these for a Halloween party!